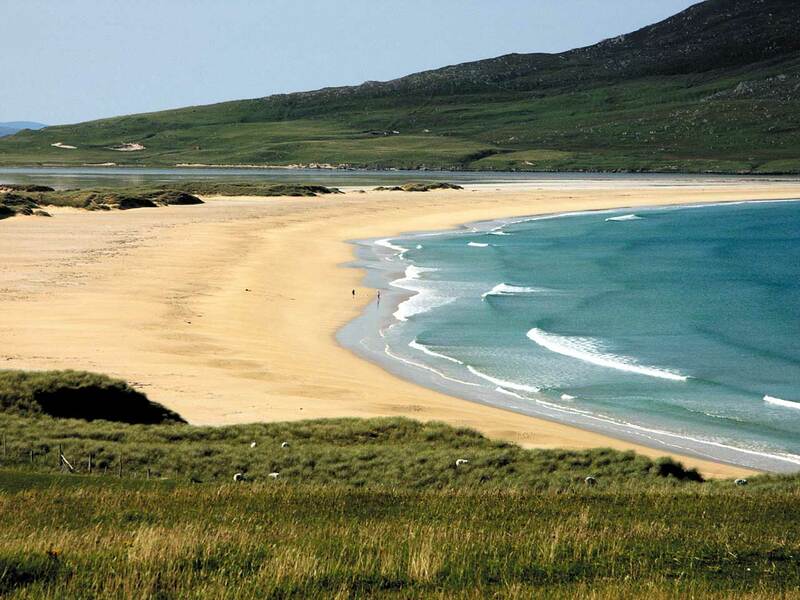 The crystal clear waters of the Hebrides are often compared to the Caribbean, the turquoise hues and beautiful golden sandy beaches are increasingly popular with gliders, surfers and Kayakers. Although not as warm as the Caribbean the scenery and location is certainly comparable. 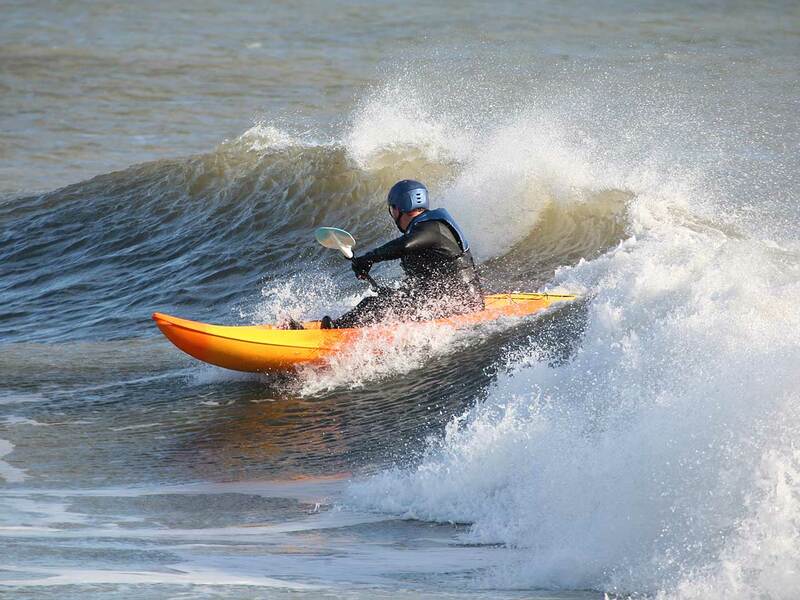 The Outer Hebrides are well located in the North Atlantic where there are incredibly consistent swells crashing onto the cliffs and rocks of our shores producing ideal surf conditions. 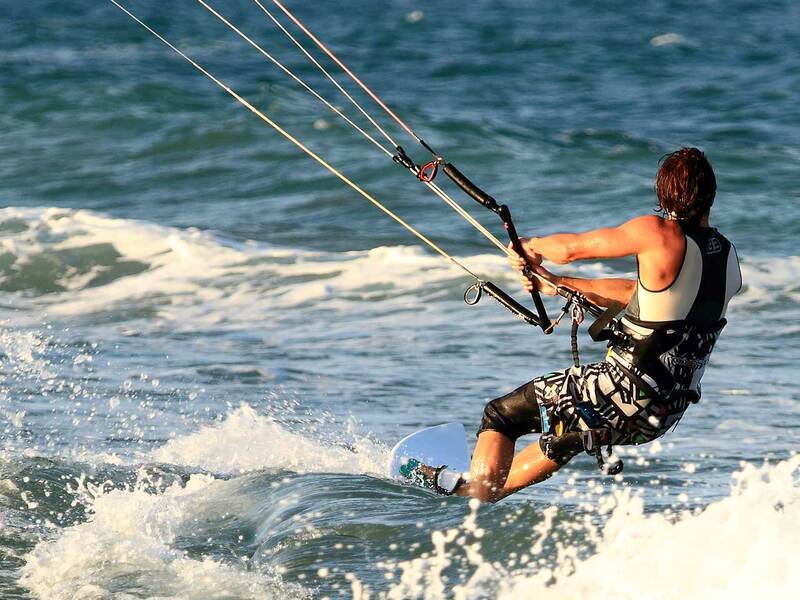 The excitement of body boarding or kite surfing in these locations is an awesome experience. Archery, Abseiling, Kayaking and nature or guided walks can be arranged from the centre. Climb some of the oldest rock in the world! Sgor specialise in climbing and abseiling in Lewis and Harris. Available all year round – weather dependant. Tel: 01851 820726. With empty breaks, crystal clear waters and beautiful clean beaches, some of the world’s best are beating a track to Harris. 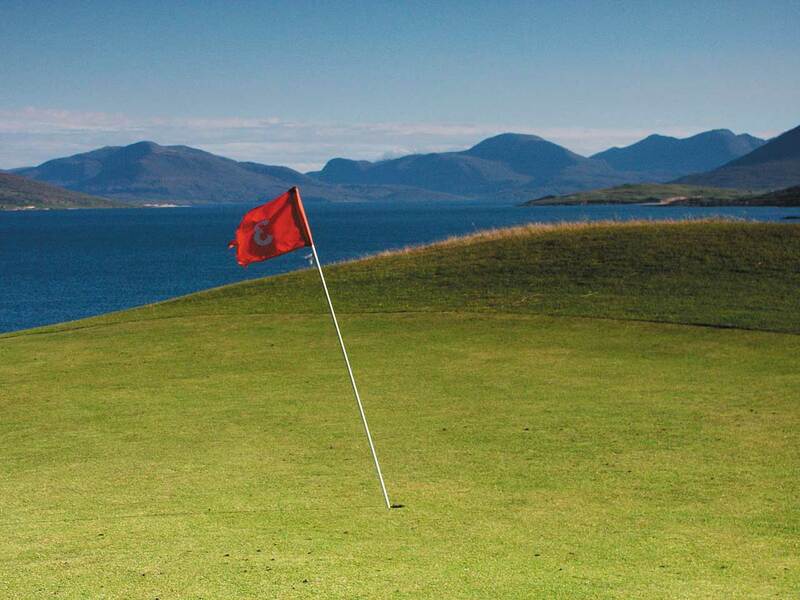 The Isle of Harris Golf Club is located opposite the cottages in Scaritsa. Add an extra bit of excitement to your winter holiday. Whether it is a short session, or a day spent improving your racing techniques on a challenging, twisty, predominantly blind track, 650m long by 6m wide. Tel: 01851 700222. Boat trips to St Kilda and some of the other fascinating islands around Harris are a must for any visitor. The wildlife and sea cliffs that surround these islands are staggering. 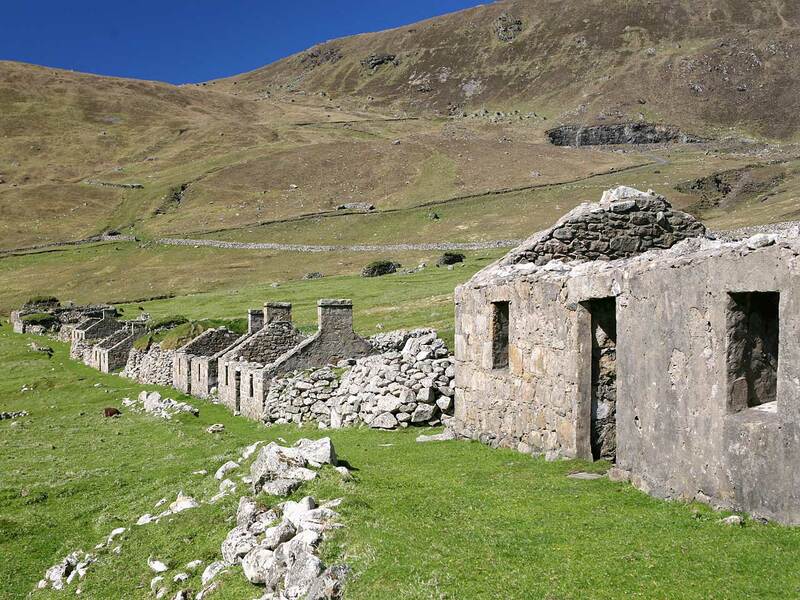 St Kilda is 40 miles west of the Hebrides and is Britain’s remotest inhabited island and Scotland’s first World Heritage Site. These islands are made of 4 smaller islands; Boreray, Soay, Dun and Hirta (being the main island). St Kilda has the highest sea cliffs in the UK and is home to the largest colony of Guillemots in the world and the biggest colony of Puffins in Britain, with over one million birds in total. A boat trip to the Shiants is every bit as spectacular with 250,000 seabirds, including puffins, guillemots, razorbills, shags and great skuas, arriving there in the summer to breed. The Shiant Islands are located 11 miles east of Scalpay and their display of Basalt rock columns are the most spectacular in Britain (better than the giants causeway). There are hundreds of offshore islands in the Hebridean chain; many were inhabited at one time but have been deserted over the last two centuries, leaving behind empty villages and crofts. Some, though, are still thriving, now linked by causeways and bridges to the mainland islands. Also dotted along the coastline on Harris are deserted villages where the inhabitants have long gone and left are the ruins of a bygone day. As well as being wildlife havens, these special places offer total solitude and escape from the modern world. Most of these villages and beaches are accessible by foot, the nearest beaches can be seen from the cottages and less than 10 minutes walk away. Mountain bikes in the cottages are for your use during your stay which will enable you to make the most of this spectacular scenery at a more leisurely pace. There are plenty of opportunities, during your holiday, to fish for Brown/ Sea Trout and Salmon. It is advisable to contact the estate in advance of your stay . The Isle of Harris, standing out in the Atlantic on the far northwestern edge of Scotland, is an elemental place, full of contradictions: wild and gentle, warm and calm, ancient and yet bubbling with life. At the head of the harbour in East Loch Tarbert, visible to everyone arriving there by land or sea, the first whisky distillery in Harris. It will be a welcoming place, with a peat fire glowing at its heart, the flavours of the island in the canteen and the feeling that here in the distillery you will find something of the essence of Harris. The crystal clear waters and beautiful golden sandy beaches are increasingly popular with gliders, surfers and Kayakers. Boat trips, fishing and golf.